Rivers:- While some areas have been in flood the mountain streams have still been fishing well over the past week. Though the recent rain has kept levels higher the water clarity has been fine and some good mayfly hatches along with a few caddis have occurred in some of the larger rivers. Warm weather has also had a few more beetles starting to show. Weighted nymphs fished deep have been very successful over all the nymphs have been the best. 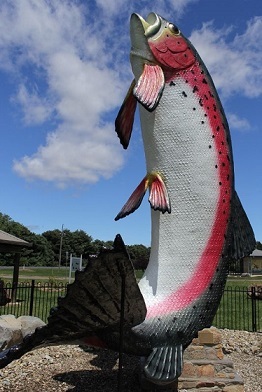 At the moment the eucumbene river is running well and clear from top to bottom remember don’t look for the fish!! Fish for them get the nymphs down. 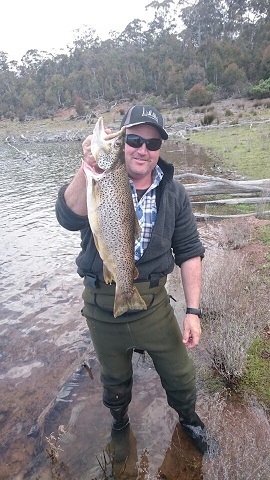 Reports have been good in most parts on the Thredbo river again the nymphs have been doing the best. 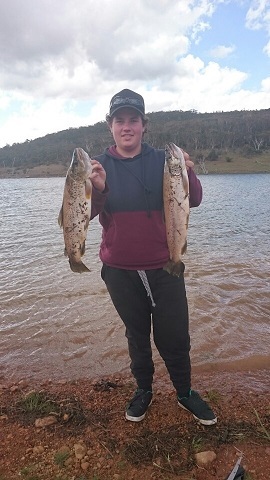 Much like the eucumbene river after flooding things have really picked up if your going to have ago with the dry’s best time has been around 6pm till dark overall fishing is good on the river from top to bottom. 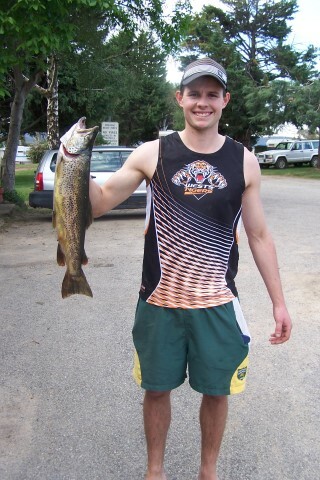 unlike Eucumbene you are best looking for the fish as the waters on the Thredbo a lot clearer. Fishing around the lake has been good with good reports coming in from most areas on the lake. After all the rain fishing in the bays have been really picking up. 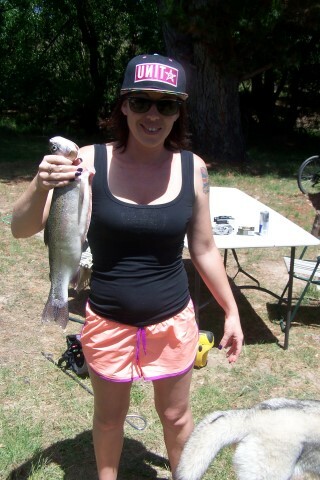 Now the weather is warming up fishing has Improved with the rainbows and browns. browns, rainbows, brooks, salmon. 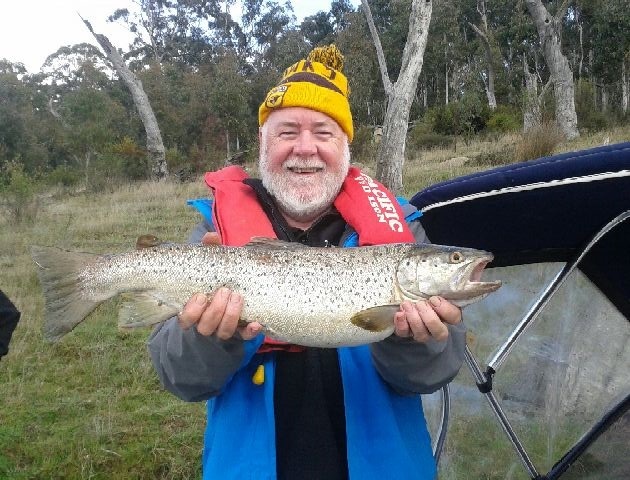 Most fishers have been using woolly buggers and Nymphs with good results. Peter from Braemar with a report from the week ending November 21st. Some nice fish were caught during the week on all methods which was a pleasant surprise, previous weeks had seen one method superior to others but the trend over the past few days was that no matter what you preferred the fish co-operated. We had some very heavy rain and then hot and windy conditions during the week so opportunities were somewhat limited, but when you were able to get out and about the fish were there, not in huge numbers but just enough to keep the anglers satisfied and interested. Best fish of the week went to Elke Stadler who managed a beautiful Brown of 2567 gms caught on powerbait, well done Elke who is quite often prepared to walk big distances when fishing so she deserves the results when they come, Vicki Dodsworth also did well by catching a couple of nice Rainbows as did her brother in law Anthony using worms, it was Anthony’s first fish in quite a while !!!!!!!!!! 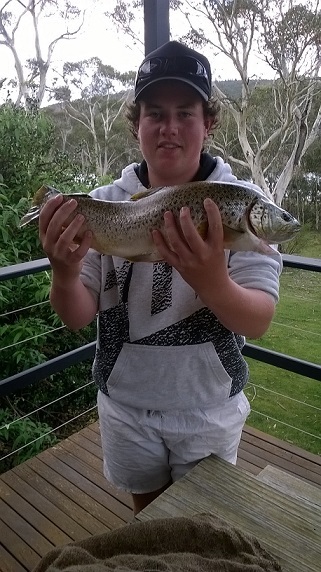 Mitchell Wright once again picked up a nice Brown of 2002 gms with a live yabby, thats is Mitchells second 2kg plus Brown in as many outings. Vinny Ford put in some long hours for a couple of nice Browns casting various flies to cruising Browns , the best being 2035 gms, Julius, along with his visiting Hungarian friends Peter and Zoltz managed a couple of nice Browns as well casting nymphs and streamers with Peter getting one 58cm, they also had their very first encounter with a snake, its hard to imagine that people visiting from other countries have never seen a snake before, Ken Plumb fished the Gunghalin for very mixed results, whilst the scenery was spectacular the fishing proved to be very tough with the River running clear and low, smallish Browns and Rainbows readily rose to the small dries but few were landed. Ian Stock and Vic Lomas managed a couple of nice fish each on their trips out using mudeyes and Graham Thoms and his wife had a super morning landing 6 great Rainbows using powerbait before the weather turned nasty, all in all it was an interesting week, best flies were small dries, beetles and Zulu’s and the ever reliable Wooly Bugger late, best tazzies were #112, Y46 and #28 and best bait were worms and mudeyes. Pictured below Mitchell Wright with his 2002 gms Brown, Vicki Dodsworth with her 866 gms Rainbow and Anthony Dodworth with his 886 Rainbow and the Boys from Belgrave group shot from their recent trip to Braemar. 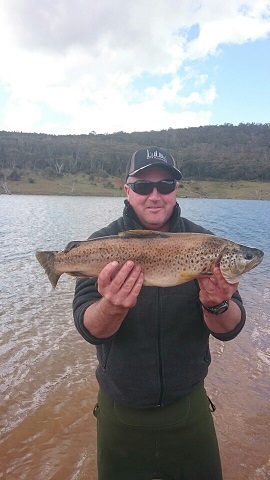 Bait fishing around Jindabyne has been good with results coming in from most parts off the lake overall the worms and mudeye’s have been the best bait. Over on the west side off the lake the mudeye fishing has been at it’s best with some good rainbows and browns. The worm fishing has been great on the same side but don’t go out into the deep waters the fish are in close. Overall the bait fishing is going great and the mudeye fishing is really good.